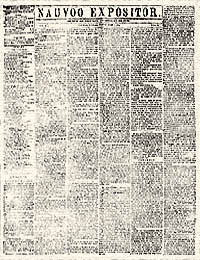 On June 7, 1844, William Law, a disaffected Mormon, published the first and only edition of the Nauvoo Expositor. It described in lurid prose all the evil things Joseph and other leaders were supposedly doing. On June 10, Joseph Smith, as mayor, and the city council met to decide what to do. They determined that, based on their interpretation of their charter, they had the power to remove the press since it posed an imminent threat by calling for violence and hence fit the legal definition of a public nuisance. The press and most copies of the paper were destroyed. A riot ensued and, the next day, Joseph Smith was sought out by the county sheriff on charges of inciting riot. 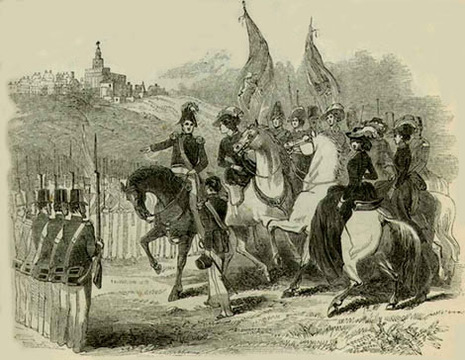 For some time there had been a widening breach between Joseph Smith and William Law, a member of the church's First Presidency, primarily over Law's wife. Rumors had reached Law that Smith had tried to persuade her to become his spiritual wife. And so the seeds of discontent spread through the city, with Law and his brother Wilson, Chauncey and Francis Higbee, Robert D. Foster and Joseph H. Jackson at the center of intrigue against Smith and his followers. 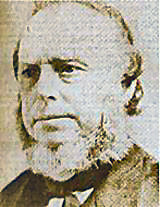 Jackson was an adventurer and notorious scoundrel; the Laws, Higbees and Foster, however, were wealthy and influential in Hancock County. They broke away to organize their own reformed church. From this clique grew the idea for the creation of a newspaper to attack the Smiths. And so was born the Nauvoo Expositor. It was intended to be a sounding board for their opposition views and tear away the secrecy surrounding the plurality of wives being taught by the church's hierarchy. But it lasted only one issue, for Smith moved swiftly to crush the dissidents. In doing so he unleashed a whirlwind and sealed his doom. Seven years earlier, Illinois had been torn by the murder of an abolitionist editor and Presbyterian minister named Elijah Lovejoy, who set up a newspaper in Alton, Illinois, to fight for anti-slavery. His press twice was attacked by a mob and in the second assault Lovejoy was shot to death. The incident made Illinois the object of national scorn, and the state still was smarting under criticism when the Expositor affair occurred. Smith's City Council passed a libel law and then charged the Expositor with being a public nuisance. In the next breath, Smith ordered the city marshal to abate the nuisance--"destroy the press and pi the type." But even Smith was unprepared for the uproar that followed. Freedom of the press once more had been trammeled in Illinois, and the residents would have none of it.